Evaporative cooling systems and their water treatment strategies help optimise building performance and contribute to Leadership in Energy and Environmental Design (LEED) certification and other sustainability programmes. Even in areas challenged by hot, arid climates, evaporative cooling systems offer economical, energy efficient solutions for green building design, construction and maintenance. The following Q&A resulted from a survey of engineers and cooling tower experts inside and outside SPX Cooling Technologies, to better understand how cooling towers can contribute to successful LEED projects and other sustainability initiatives. 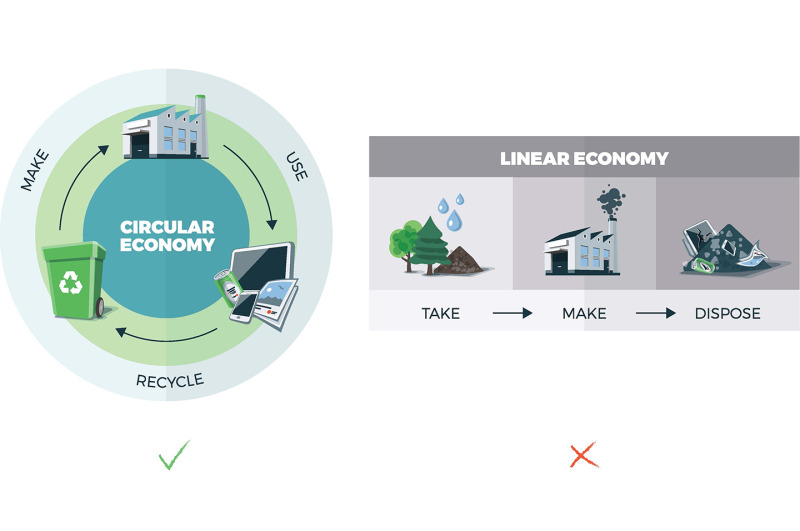 The emerging circular economy concepts seeks to replace the linear concept. Instead of disposing of equipment after its initial service life ends, products and materials should be recovered and regenerated wherever possible. Tell us about LEED and other sustainability initiatives, and why they are important. Initially developed by the US Green Building Council (USGBC) and now recognised worldwide, LEED is a rating system designed to evaluate and promote construction of resource-efficient buildings that support sustainable healthy-living environments. Points are awarded for fulfilling nine separate categories, among them water efficiency and energy savings, with total credits determining a building’s certification level. Four levels of project certification are available: Certified 40-49 points; Silver 50-59; Gold 60-69 and Platinum 80+. It takes a holistic, performance-based approach to sustainability, ensuring that buildings can prove energy and water savings, and that they incorporate environmentally friendly materials and resources. The USGBC also acknowledges environmental standards outside of the US in over 165 countries and territories, recognising communities in Europe and the Middle East that are among the world’s leading proponents of green building. In the HVAC industry, LEED supplements the efficiency standards of the American Society of Heating, Refrigerating and Air Conditioning Engineers (ASHRAE). LEED certification is desirable because, with a rating from a globally recognised third-party system, it reflects the overall excellence and integrity of a building’s design, construction and operational systems. 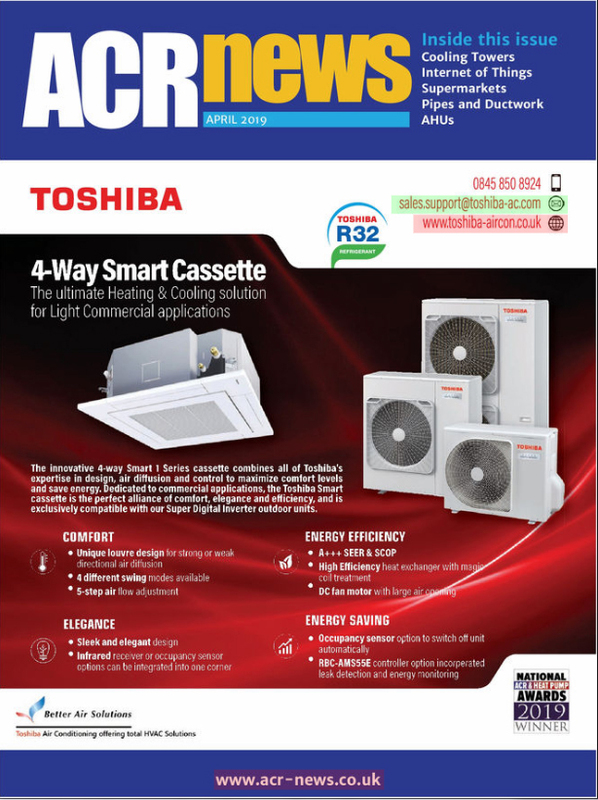 Meanwhile, ASHRAE traditionally focuses on HVAC-specific construction components – for example, louvres and drift eliminators installed on a cooling tower that prevent water splash-out and support water conservation efforts, or the use of variable frequency drives with fan motors to save energy. 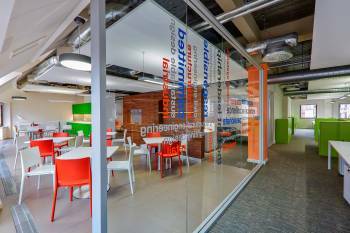 Another rating guide, the UK-established Building Research Establishment Environmental Assessment Method (BREEAM), is well-known throughout Europe. BREEAM aims to assess, rate and certify a building’s sustainability in an effort to reduce the negative environmental effects of construction and development. An emerging concept guiding best environmental practices for commercial and industrial professionals worldwide is the Circular Economy (CE). CE calls to replace the traditional linear economy – take, make, dispose – and instead optimise our existing resources: use them as long as possible, extracting maximum value before finally recovering and regenerating products and materials, whenever possible, after their initial service life ends. For example, Marley stainless steel cooling towers can comprise up to 100 percent recycled material, and some galvanised steel towers comprise at least 23 percent recycled material. When decommissioned, the steel can again be recycled for other uses, a cycle that supports the circular economy philosophy. What advance planning and preparation is required of building design teams who wish to incorporate evaporative cooling in LEED projects? Because most buildings constructed today employ some method for cooling indoor air, engineers and architects may seek the most efficient, environmentally sustainable method possible. The LEED rating system rewards environmentally sustainable practices that conserve energy, material and water resources. An evaporative cooling tower system capable of achieving these goals has the potential to earn points toward energy optimisation credit, including up to 20 in existing buildings and up to 18 in new buildings. A building looking to achieve credits for optimising energy performance can get about halfway to certification by implementing HVAC-related strategies and equipment choices that contribute to increased efficiency. Remember, a building becomes LEED certified at a minimum of 40 points. First, to earn points towards certification, buildings must meet a few prerequisites. For new buildings, design teams can demonstrate the cooling tower’s contribution to indoor water reduction with makeup water meters, conductivity controllers and overflow alarms, and drift eliminators. New buildings can also pre-qualify for certification if owners commit to water metering and fundamental commissioning and verification. Fundamental commissioning and verification include implementation of a facilities requirements and operations plan, which may address equipment run-time schedules and HVAC set points that optimise energy use. Cooling towers evaporate an HVAC system’s recirculated water to remove heat. Only small amounts of water are required to be recirculated through the system. Water in the evaporative cooling tower mixes with air flow, typically produced by a fan (often using a variable frequency drive to save energy), and evaporation of the hot water results, creating a cooling action. Operating a cooling tower under variable flow conditions at off-peak times can achieve greater efficiency by reducing flow rate and fan energy, as long as proper water distribution is achieved. Examples include running half the fans at full speed for 50 percent cooling at half the energy usage, or running all the fans at half speed for 50 percent cooling at one-eighth the energy usage. Monitoring water consumption to identify ways to minimise use. As mentioned earlier, water metering can potentially help an existing building earn up to two points and a new building up to one point. The Water Usage Calculator at spxcooling.com helps building planners determine how much water they can save using evaporative cooling in their specific applications. Incorporating water quality management, contaminant control and cycles of concentration as part of system water conservation. Achieving water conservation has the potential of earning an existing building up to three points and a new building up to two points.? Maximising cycles of concentration is a recommended water conservation practice. Cycles of concentration is defined as the resulting ratio of concentrated dissolved solids in the circulating blow-down water compared to that in the fresh makeup water. Increasing cycles of concentration can greatly reduce blow-down and make-up water simultaneously, creating a water chemistry equilibrium that conserves water and removes minerals that dissolved during the evaporative cooling process. At the same time, the quantity of dissolved solids must be carefully controlled. Implementing an effective water treatment program with tools to monitor water quality empower cooling tower operators to proactively address issues related to microorganisms, corrosion, scale and water conservation. How does relative humidity impact the evaporative cooling process, and why is that important in arid parts of the world? Cooling tower efficiency is largely driven by operation and maintenance standards, but climate also plays a role. When relative humidity is low, as it is in hot and dry regions like the Middle East, the more beneficial evaporative cooling is for building owners. Relative humidity measures the difference between moisture actually in the air and the amount of moisture the air could hold. That is the difference between wet bulb temperature, or the amount of moisture in the air, and dry bulb temperature, the outdoor temperature. At 100 percent relative humidity, wet and dry bulb temperatures are the same. In evaporative cooling systems, heat is transferred based on wet bulb, while dry systems rely on dry bulb. Evaporative systems are capable of producing cold-water temperatures near wet bulb levels that often fall below outdoor dry bulb temperatures, which results in energy savings in arid areas. Dry systems, on the other hand, have to work against high dry bulb temperatures year-round in areas like the Middle East. In arid climates with limited or no water resources, hybrid cooling towers may help limit water consumption. The hybrid combination of wet and dry components maximises cooling efficiency under high heat load conditions while achieving water savings at reduced load. Innovative hybrid products using both wet and dry technologies – like the Marley NCWD Cooling Tower – first cool water through a dry section at the top of the tower, offering additional water savings and another way to potentially earn points towards the innovation credit. The NCWD tower can reduce annual water consumption by up to 20 percent, depending on climate and the facility’s heat load profile. Are there benefits of using water- versus air-cooled cooling systems? Yes, and the simple explanation is that air-cooled HVAC systems requiring higher fan power to reduce temperatures are less energy efficient. Air-cooled equipment use fans to chill a fluid moving through a coil by blowing air across the coil surface, and electricity powers those fans. Depending on the location’s climate, the energy savings realised from water-cooled systems are significant. According to the Hydronics Industry Alliance, a building can save five to 30 percent or more on HVAC energy consumption when using a water-cooled system compared to air-cooled or variable refrigerant flow (VRF) systems. Are there any cooling tower components or accessories that building operators might consider to see additional energy savings? The use of variable frequency drives (VFDs) with fans is recommended. With two-speed fan motors, any time you need greater than 50 percent cooling capacity, fan power needs to be increased to 100 percent to reach it. VFD systems are designed to combine absolute temperature control with ideal energy management. The cooling tower user selects a cold-water temperature and the drive system will vary the fan speed to maintain that temperature. Using VFDs can significantly reduce annual energy consumption in most climates, making them essential for projects focused on energy efficiency and LEED concepts. When used with a VFD, the use of a permanent magnet motor may be as energy efficient as a gear drive, but the initial cost can be significantly higher. In addition to these two factors, building managers should consider ease of maintenance, reliability and service life, balanced against installation costs, operational complexity and environmental impact. How does the size of a cooling tower affect energy savings? Physically larger cooling towers are more efficient because they typically have more heat transfer media (fill) volume, allowing them to use less air flow and lower fan power for increased energy savings. Numerous combinations of physical tower size and fan power can meet certain temperature requirements for a specific water flow. Because maximising power savings generally requires using a larger and potentially more costly cooling tower, system designers should consult with cooling tower manufacturers for help weighing the costs compared with power consumption benefits to find a solution that best meets their requirements. In sum, green building concepts have evolved from being the innovative exception to becoming the accepted standard for many communities. Today, building designers, engineers and managers expect manufacturers of HVAC systems to dedicate R&D resources to commercialise environmentally responsible cooling systems that offer exceptional performance and value while meeting global ASHRAE, LEED and other sustainability standards.